Blending voice, light-directed picking and putting, and wireless barcode scanning technologies into agile order-fulfillment solutions tailored to individual customer needs. 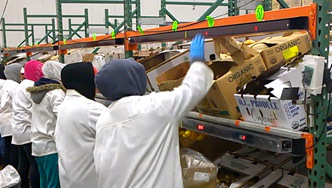 FastFetch’s batch picking solution achieves high productivity by fulfilling multiple orders with a single pass through the picking area. 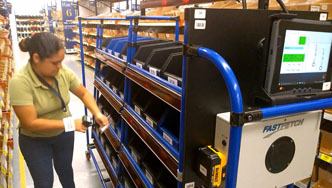 Our cart system combines lights, voice, and wireless barcode scanning into an easy-to-use system that yields fast and accurate order fulfillment while permitting the picker to function in a hands-free, eyes-up fashion. 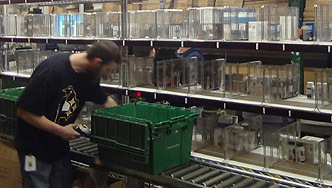 Put walls can provide effective solutions for order building, sortation, and returns processing. Put walls can be augmented with an appropriate mix of light-directed, voice, and wireless barcode scanning technologies as needed for specific applications. FastFetch’s put wall technology supports concurrent putting and packing activities as well as dynamic allocation of put wall slots to further enhance put wall efficiency. Certain picking challenges are best handled by pick-to-light technology. 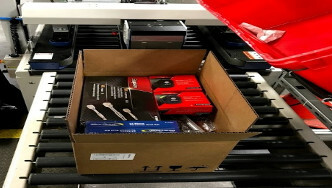 FastFetch offers a modern pick-to-light system that delivers high-throughput picking of high-velocity SKU’s in user-defined zones. FastFetch’s pick-to-light technology is capable of operating in harsh environments and also supports high-definition displays of text and graphics to present special instructions as needed for particular orders. Shipping excessive air has become more expensive with carriers charging for both size and weight. 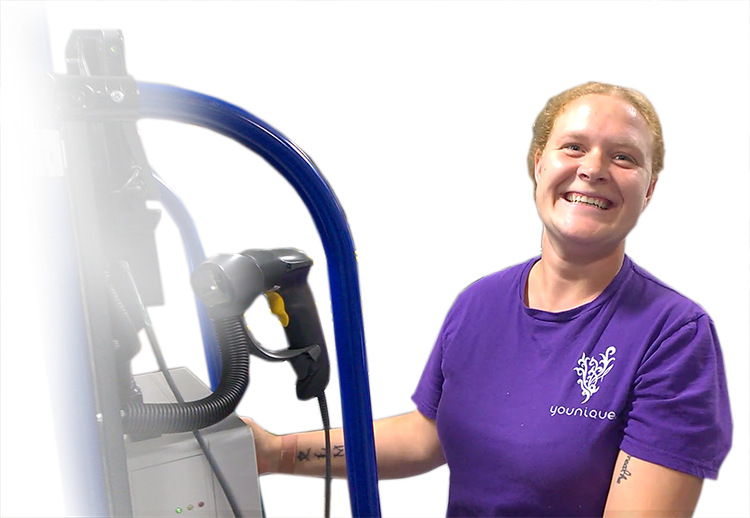 Fastfetch’s Shipping Cost Optimization System uses artificial intelligence (AI) to compute the dimensions of a carton that accommodates the items to be shipped while minimizing wasted space; it then makes the right-sized carton available on demand as orders are ready to be packed. With right-sized packaging, the average volume of shipping containers can be cut by as much as 30% and yields significant savings on shipping costs.